Over fifty years ago, a British rock band was started by two brothers that became one of the early influences of heavy metal and punk music. That band was The Kinks and guitarist Dave Davies was one of the early creators of the raw, garage rock guitar sound that has become the livelihood for many of today's rock bands. In 2004, Davies suffered a stroke that temporally paralyzed the right side of his body. He had to re-teach himself how to play guitar and has since come roaring back with three new studio album, including last year's "Rippin' Up Time." 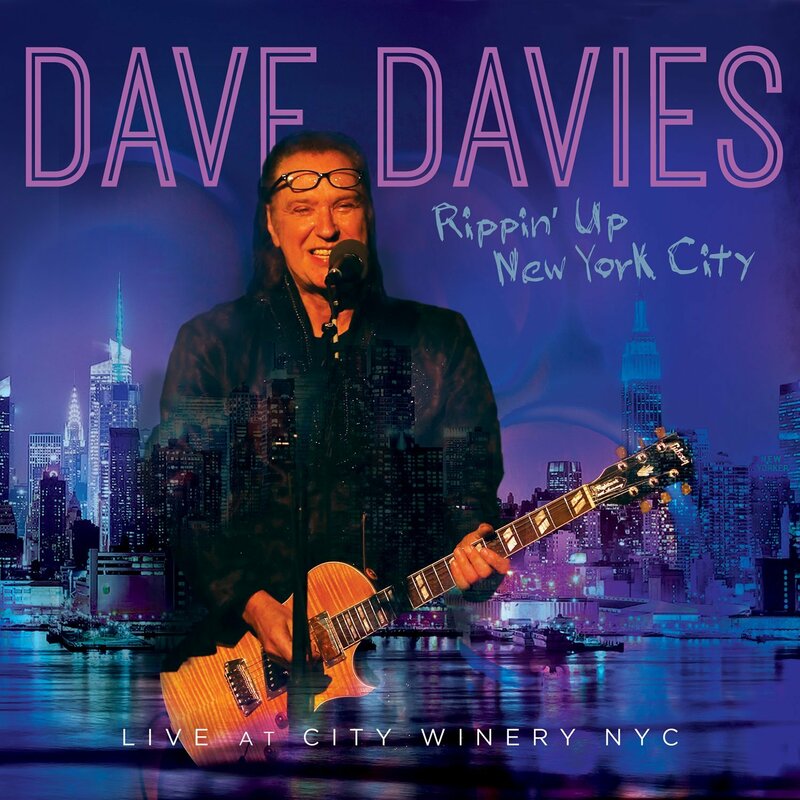 While rumors swirled about the possibility of a 50th anniversary Kinks reunion, nothing has be announced, so in the meantime, Davies recently released a live album entitled "Rippin' Up New York City: Live At The City Winery." It was recorded in November of 2014 and features songs from Davies' solo career as well as some Kinks songs that he helped define a generation. The album begins with the roaring guitar instrumental "Rippin' Up Time," which leads into a couple of Kinks' classics "I'm Not Like Everyone Else" and "I Need You." His renditions have a very raw feel in this live setting, which only adds to the experience as he pushes "See My Friends" to the seven-minute mark with an extended guitar solo. He puts his heart into the soft delivery of "Strangers," before his high energy performance of the two new originals "Front Room" and "King Of Karaoke." The album closes with a string of the Kinks' most well-known songs, including the timeless "All Day And All Of The Night" and "You Really Got Me." Dave Davies will be one of the mainstay acts at this year's Big E festival in October, that will kick off a string of U.S. dates that runs through the rest of the month. To find out more about Dave Davies new live album, "Rippin Up New York City," please visit his Facebook page at facebook.com/davedaviesofficial.